"Dr. Creese and his staff deserve to receive the highest possible recommendation." "Richard came through with the solution and explained the process the whole way." "Dr. Creese is a fantastic dentist." "I have seen Dr. Creese for 45 years. I trust him and his genius totally." "Today was my first visit and I will certainly return." "I've been going to Dr. Creese for about 3 years now, and I'm very, very happy." "I'm feeling so good that I choose to take care on my mouth in this place." 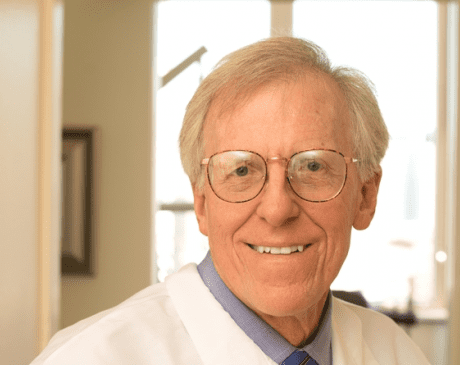 Richard Creese, DDS, has been serving the dental needs of patients from all over the Bay Area for over 20 years at his welcoming office in the Union Square neighborhood of San Francisco, California. 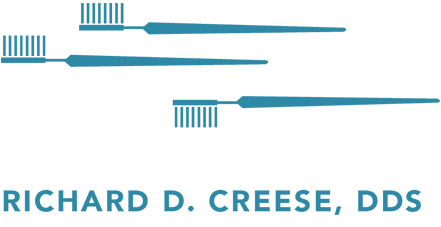 Having grown up in rural Michigan, Dr. Creese received his dental degree at the University of Michigan, a school continually ranked at the top of all U.S. Dental Schools. Prior to dental school, he studied chemistry and music at Central Michigan University. Upon graduation from the University of Michigan, he received oral surgery training at the Melbourne Dental Hospital in Australia, where he was introduced to their minimally invasive extraction techniques. His extensive continuing education studies primarily focus on root canals (endodontics), dentures, and other facets of cosmetics dentistry. Dr. Creese previously spent 15 years offering “crisis” dentistry through Potter Valley Community Health Center in rural Mendocino County. He worked weekends providing emergency dental care for toothaches, fractures, infections, as well as extractions and denture services. Outside of the office, Dr. Creese enjoys playing tennis, golf, and snow skiing. When he does find time to slow down, he enjoys music, carpentry, antique clock repair, and tuning up and tooling around in a 1960 TR3 — the first car he ever owned! Dr. Creese and his wife live in the West Portal district of San Francisco. He is an active member of the Olympic Club and Calvary Presbyterian Church. We are in contract with almost any fee-for-service dental insurance plan which you might have. We work with both PPO and indemnity type insurance plans. For all of these programs, we can submit your claims and take assignment of benefits so your trip to the dentist can be hassle-free. If you have an insurance that is not listed below, your insurance company will still provide benefits for any services which we provide for you. We can call and check with your insurance company to determine eligibility and benefits. An extensive (but not complete) list of companies with which we are registered is provided below. "Dr. Creese did and amazing job on my teeth. He cleaned my teeth and did a filling. Would recommend him to anyone who needs a good dentist." "Dr. Creese has been my dentist for more than 10 years now. I have had my fair share of dentists in my life, but now that I am in the care of Dr. Creese I am set." "Dr. Creese does excellent work. He is very accommodating to the needs of the patient. All the office staff are friendly and helpful." "Dr. Creese and staff are the best dental team I have ever had. Diagnosis is quick and unwavering. Procedures are professional and well executed." "Dr. Richard Creese has been my dentist for decades and he is excellent!! I like him so much that I have him take care of all my family's teeth."